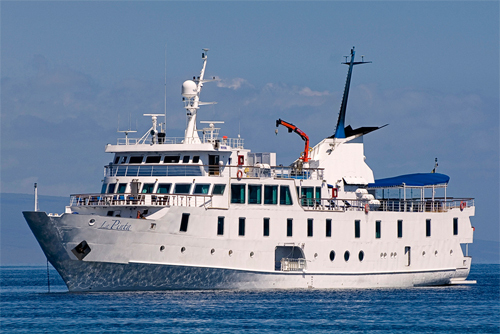 The M/V La Pinta promises a complete immersion in the unique environment of the Galapagos Islands. La Pinta can accommodate 48 guests, allowing an ideal option for travelers looking for a luxury experience. 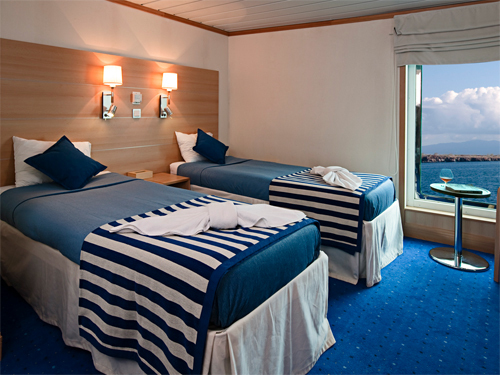 Its social areas have almost permanent visual contact with the islands through panoramic windows, while its outside deck areas are also wonderful havens for relaxation, including an observation deck towards the bow.